An oldie, but a goodie. About a year ago, Chris and I decided to theme Brooke’s room “enchanted forrest”. Seeing as that we cannot paint (we are renters), I try my best to come up with creative solutions to theme the bedrooms’ without doing anything that can’t be un-done. 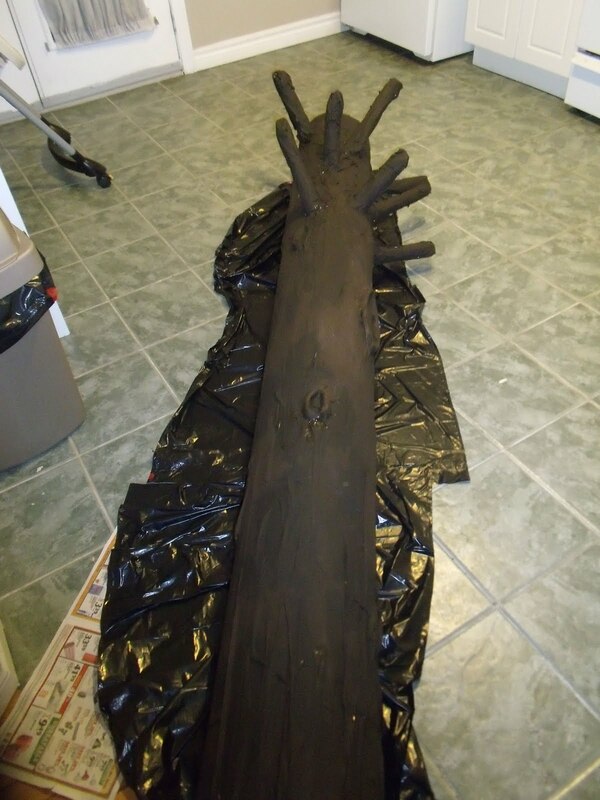 As the centrepiece of B’s room, I came up with this giant tree concept. I went and purchased a concrete tube as high as her bedroom ceiling and then attached several toilet paper and paper towel tubes to the top of the tube with tape. 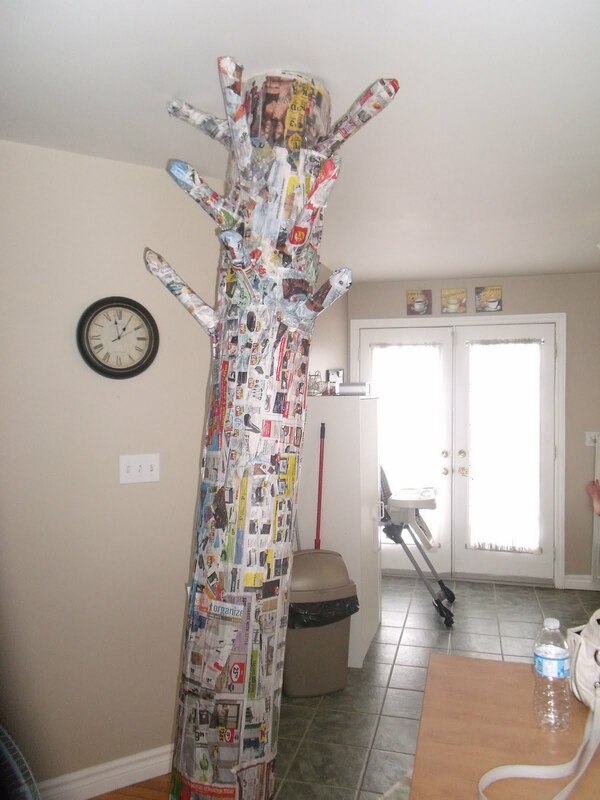 I then paper mached the entire tree. I wrinkled newspaper horizontally so that it would resemble bark when painted. My recipe for paper mache paste is 3 parts white school glue and 1 parts water for a very thick paste that dries very hard. After the basic layer of newspaper, I went back and created knots (you can see in the pictures below). I rolled and twisted newspaper and taped them to the tree in the shape of knots, and used the paste over them to keep them hard. 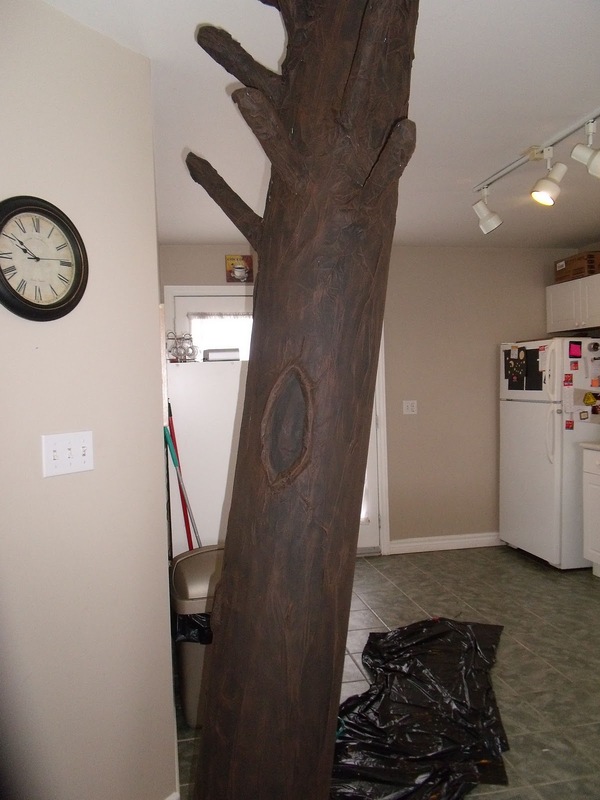 After letting the entire tree dry completely overnight, I painted it a very dark brown as a base colour. I gave it 2 coats to make sure that no newspaper showed through. After the base coat of dark brown dried, I did a bit of dry brushing with a lighter brown. This is where the horizontal wrinkling of the newspaper really stands out. I dipped my brush in the light brown paint, wiped the excess on an old towel, and lightly brushed the raised edges on the tree to make the texture stand out. 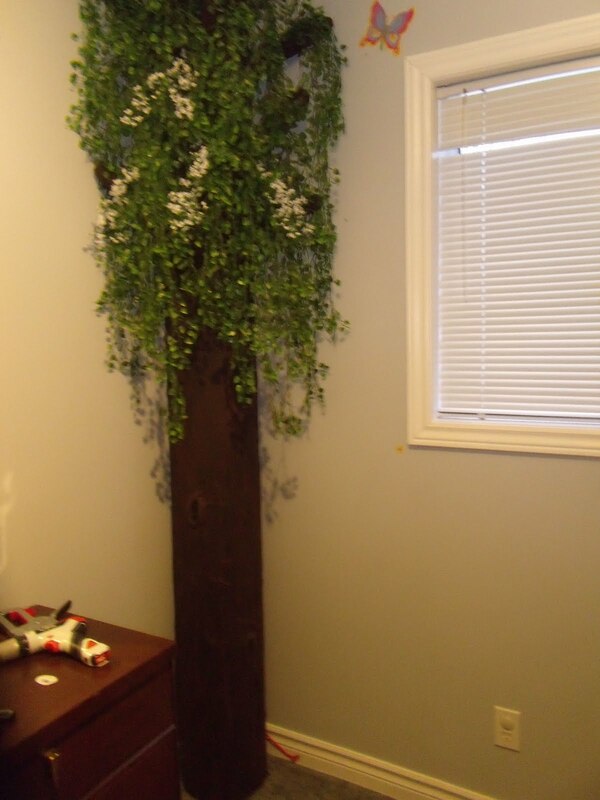 I drilled holes above each branch, and inserted plastic vines and flowers that I purchased at the dollar store. We used rope to anchor the tree to the wall. As you can see in the first picture, the tree is big, and now is much fuller (we purchased more vines and flowers over time). 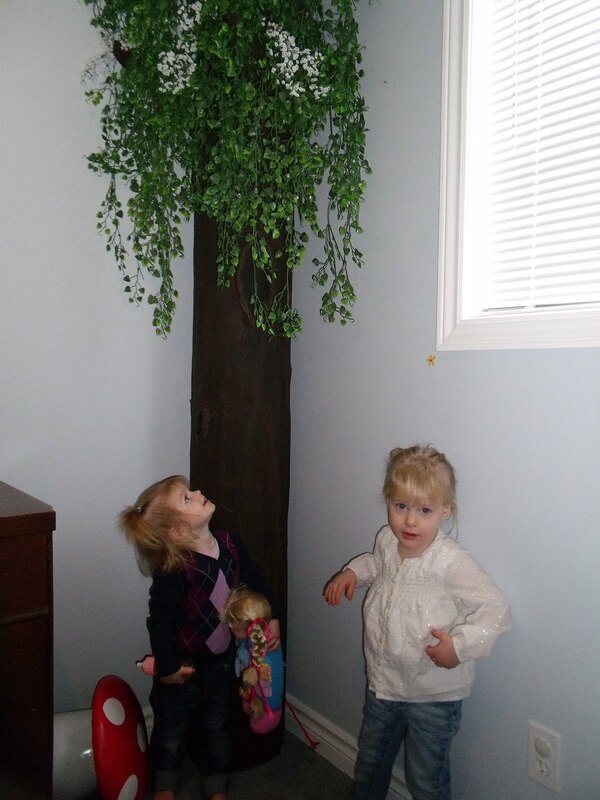 The girls love it, and it really does set off the rest of Brooke’s enchanted forrest decor. The total cost for this tree was around $35 dollars! Copyright © 2019 Holly Muffin. Theme by: Pish and Posh Designs.